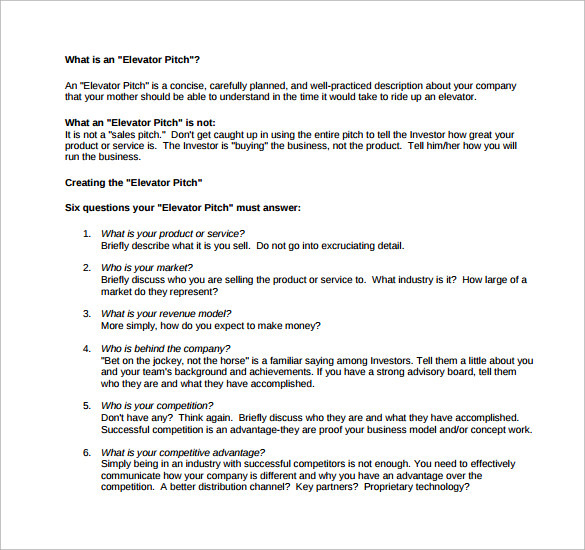 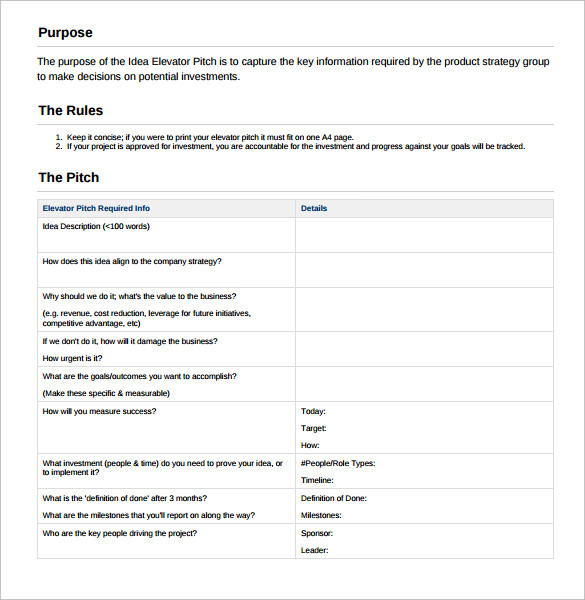 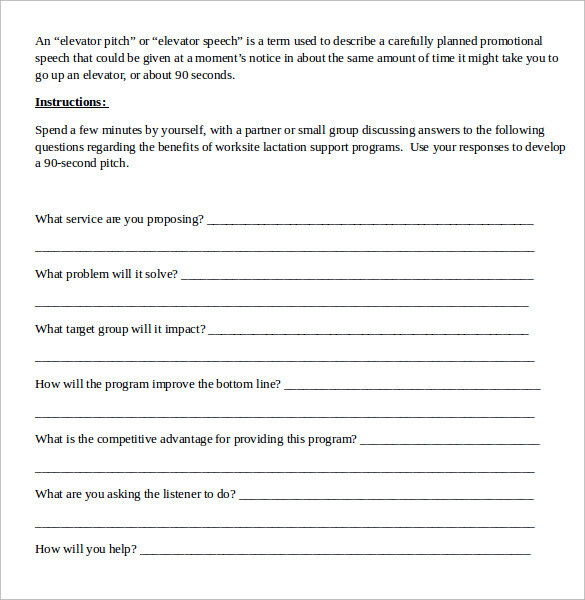 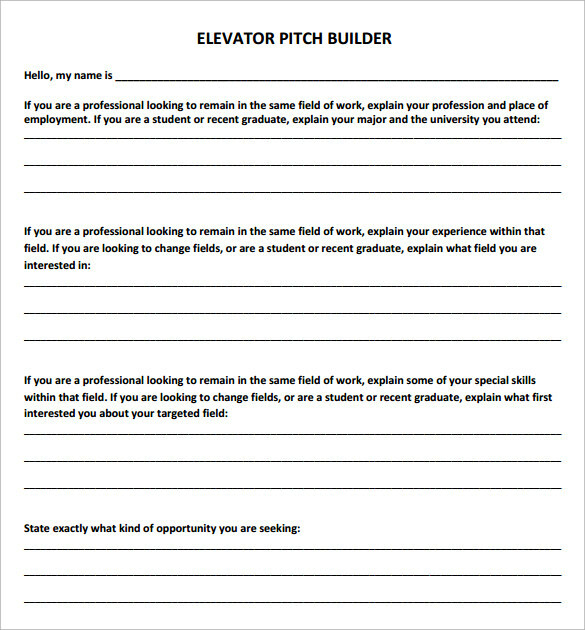 Elevator pitch is a statement or a short summary used to simply define the process, service, event in any organization. 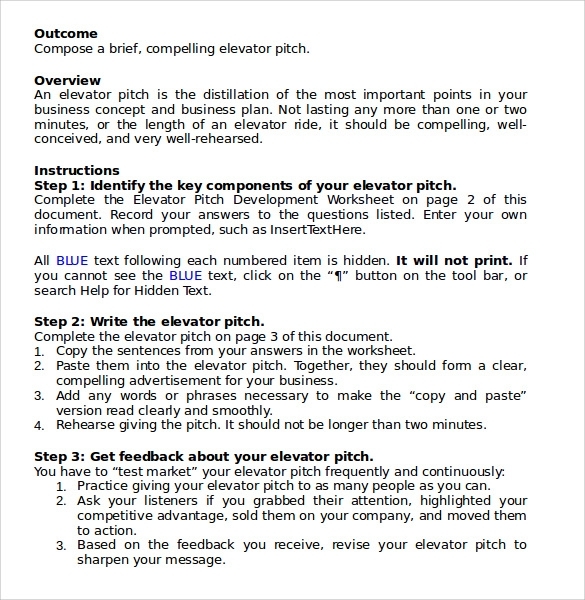 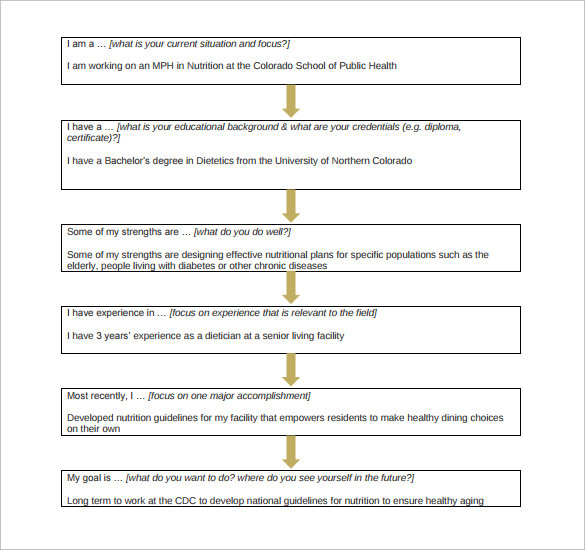 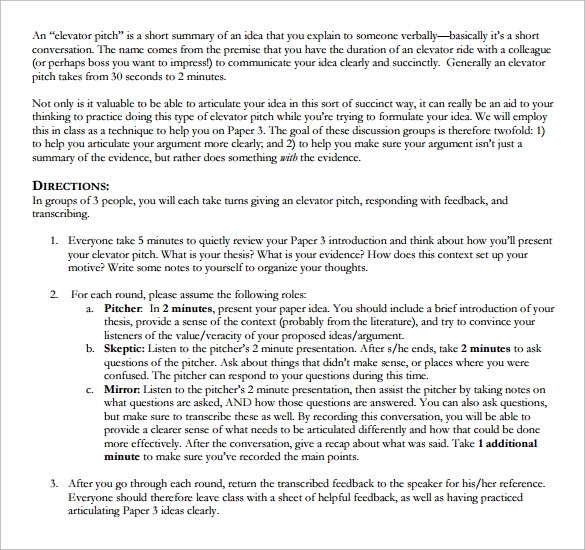 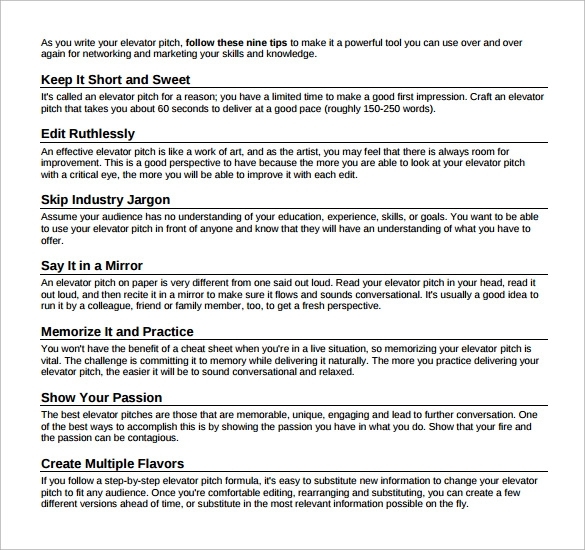 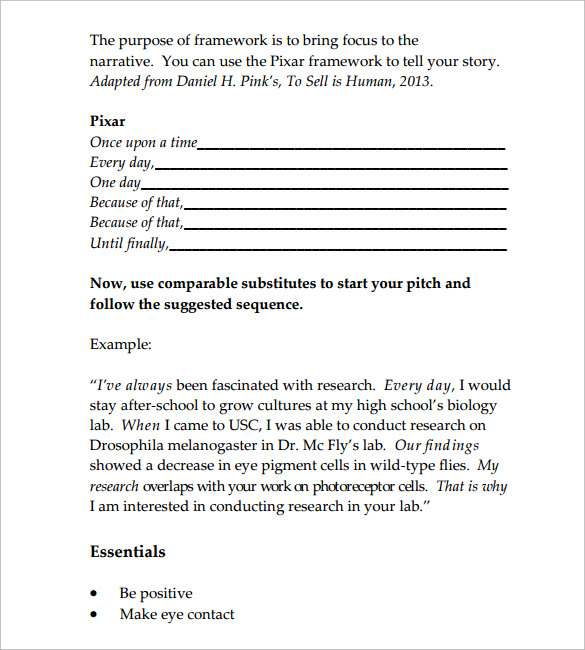 Elevator pitch template will give you the specific of all job jargons that you should necessary use and also the opportunity to be able to identify and articulate so that you deliver your Elevator Speech in the best possible manner. 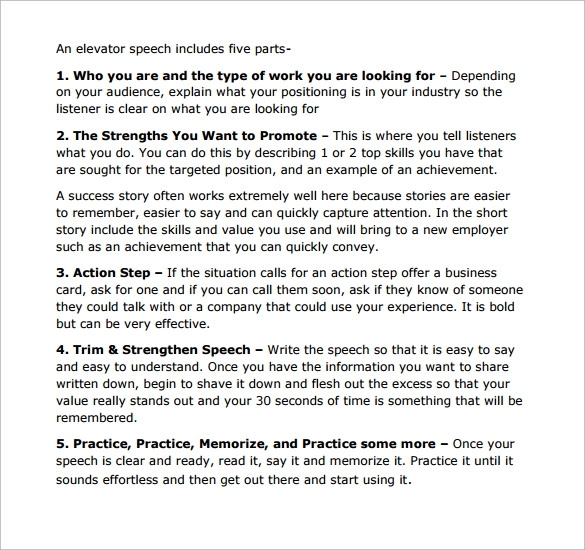 This template also helps in improving your communication skill to a great extent. 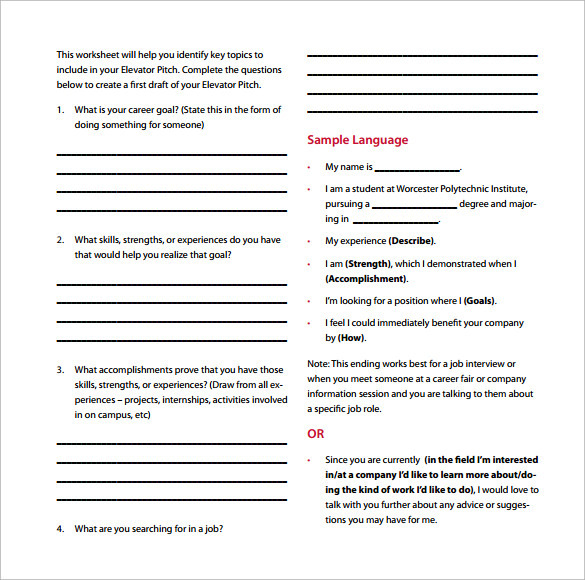 Different templates are available for the use of various departments and for various reasons. 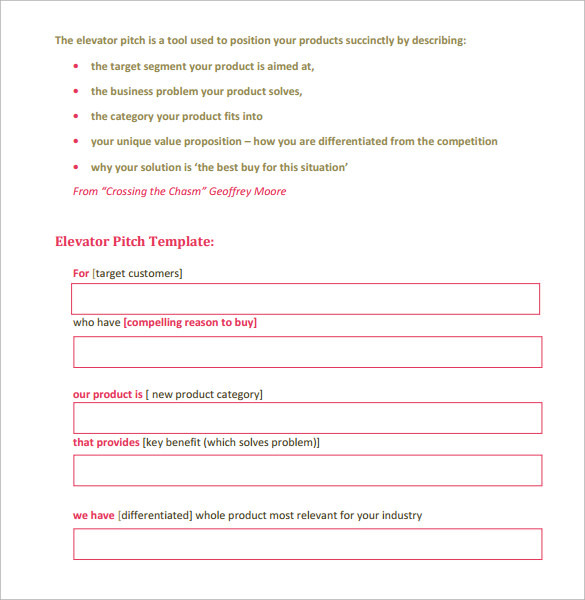 Pick your template suitable for your requirement in any formats like PSD, PDF, MS Word and many more.